Iraq war veteran Justin Anderson has faced serious hardships, including an amputated leg and a battle with brain cancer. But that hasn’t stopped him from helping others. 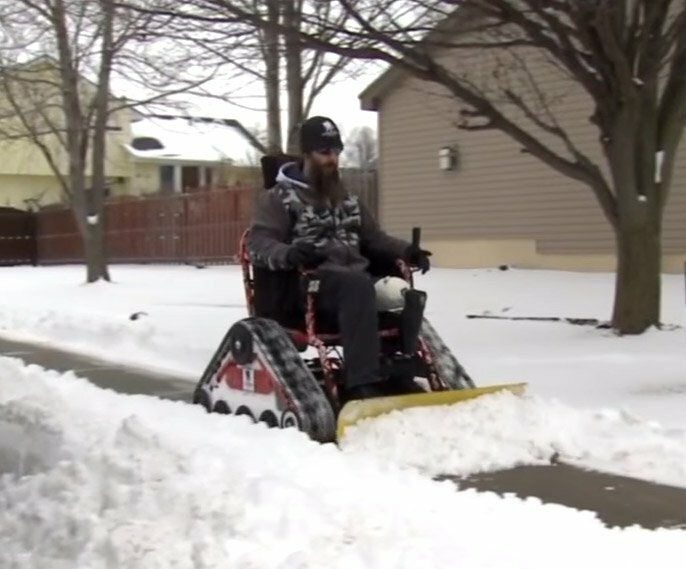 Brian has modified his off-road wheelchair so he can plow the snow from his neighbors’ sidewalks.